Manila - Nokia Philippines recently painted the town green as it tapped some of the country’s most recognizable theater actors celebrating the arrival of another blockbuster Broadway musical in Manila’s shores. Thespians are always excited to witness award-winning shows that are known worldwide. 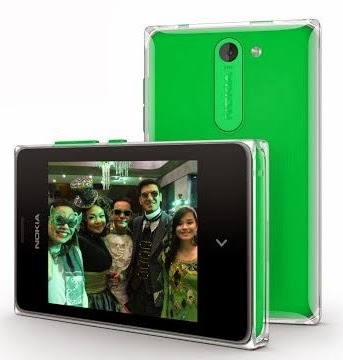 When these actors were invited to watch the musical about the witches of Oz, friends from Nokia provided them with bright green Nokia Asha 503 Dual Sim phones to document their weeklong journey for the gala performance-viewing in their Emerald City costumes. With the new Asha 503 in hand, Robbie Zialcita, Cara Barredo, Hans Eckstein, Micah Muñoz, Alessa Zialcita, Naths Everett, Ayam Barredo-Eckstein, Tristan Cheng, Eric Mercado, and Antonio Lane showed just how excited they were about this opportunity to snap and share their one of a kind experience. 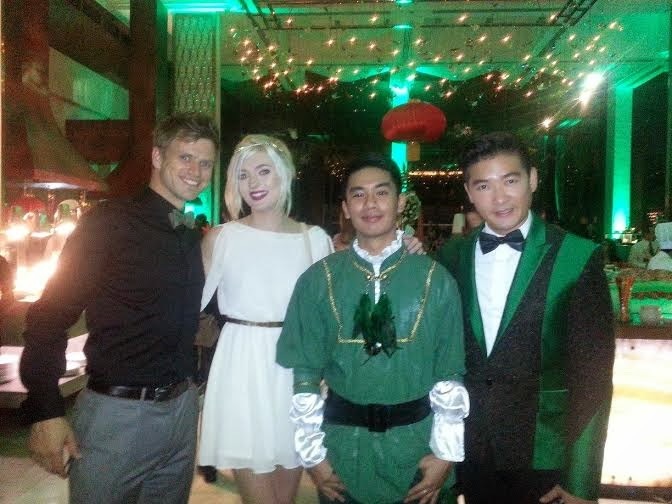 For one whole week, as the local actors chose their costumes and found green items as inspiration for the special event, the Nokia Asha 503 Dual Sim allowed them to take and upload photos of those moments in a flash. They just had to swipe up the lock screen to activate the camera, and they were ready to start snapping. Sharing the photos was easy, too – they uploaded their pictures to their respective social media accounts with just one touch. 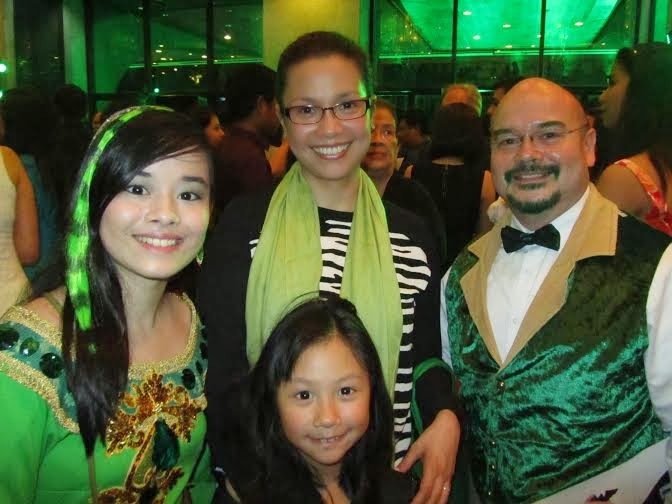 On the night of the gala, the actors who have performed with top theater groups including Repertory Philippines, Atlantis Productions, 4th Wall Theater Company, and Trumpets, arrived sporting their costumes with matching green Asha 503s. With its bold-colored core encased in a crystal-clear shell, the Asha 503 stood out with its unique design. It was the perfect accessory that tied together the local actors’ enchanting looks. The Nokia Asha 503 Dual Sim is packed with useful features, such as Fastlane, which logs what the user has been upto and helps him or her to seamlessly switch between apps. It keeps track of his/her recent apps, games, music, social media notifications and more in a single interface; and the Nokia Xpress Browser, which allows users to browse the web faster while saving on data. These features came in very handy as the actors took selfies in front of photowalls set up at the Cultural Center of the Philippines and snapshots with the touring show’s cast members and other famous personalities at the after party. Line, LinkedIn, WeChat, and other great apps that matter to users are also available on the Nokia Asha 503 Dual Sim, so staying in touch with friends is super easy. And with a gift of ten free games, users can give boredom the brush-off. “The Asha experience fired up my love for Nokia. It reminded me how Nokia was always easy to use while supplying me with the hip and happening applications of today,” said Repertory Philippines baby, Cara Barredo. The Nokia Asha 503 Dual Sim is now available in Nokia Stores and authorized retailers in bright green as well as yellow, bright red, cyan, white and black at an affordable price of Php 5,200.